Updated Transmitter, Receiver and Servo! 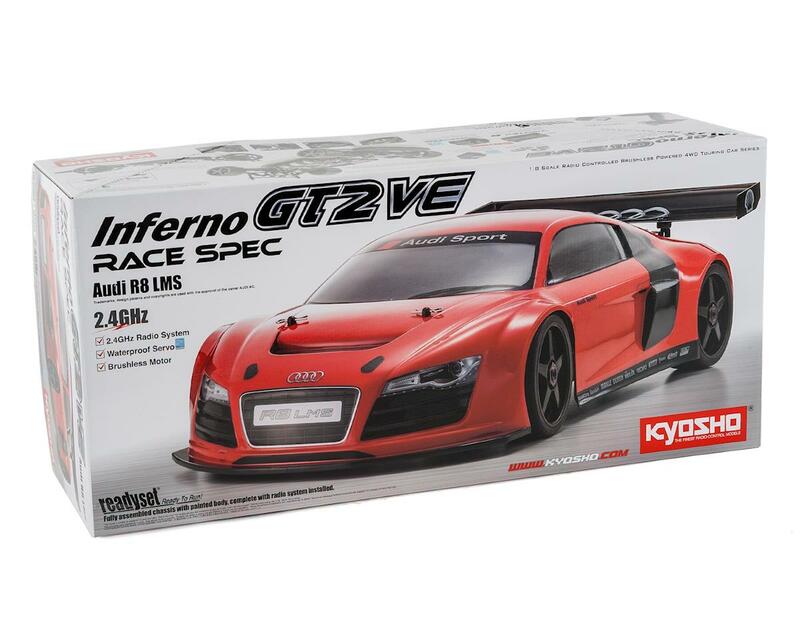 This is the Kyosho Inferno GT2 VE Race Spec Audi R8 1/8 Electric On-Road Car Kit. 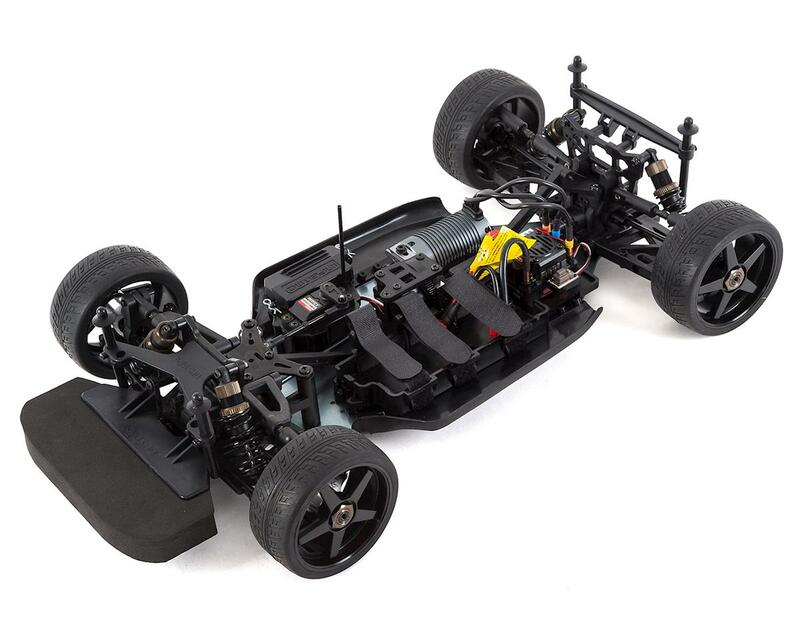 The dynamic performance of the Inferno GT2 RACE SPEC built on the combination of formidable 1/8 scale size and the speed of a GT machine has undergone an electric power transformation into the Inferno GT2 VE RACE SPEC. 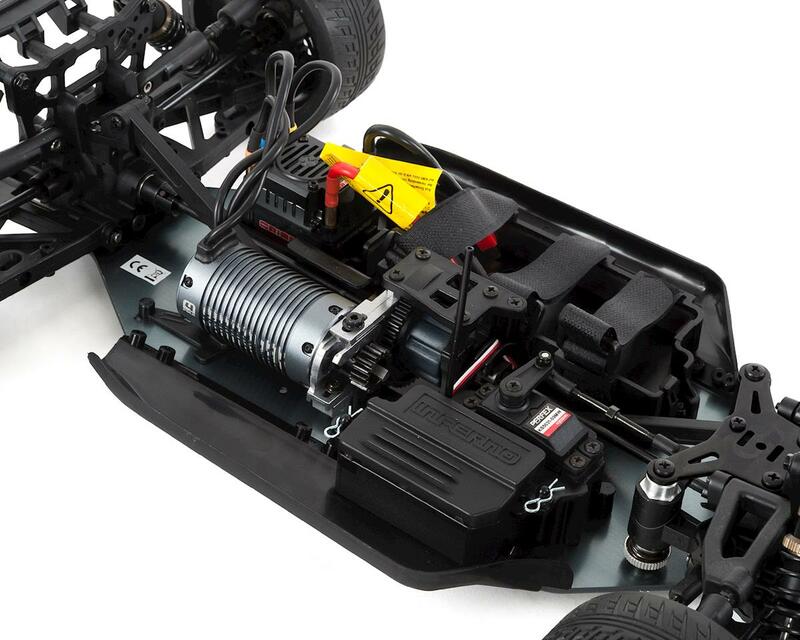 While maintaining the full potency of the proven battle power of the Inferno GT2 chassis, the VE incorporates the 4-cell LiPo battery compatible Team ORION Vortex 8 brushless motor and Vortex R8 ESC at its power core. 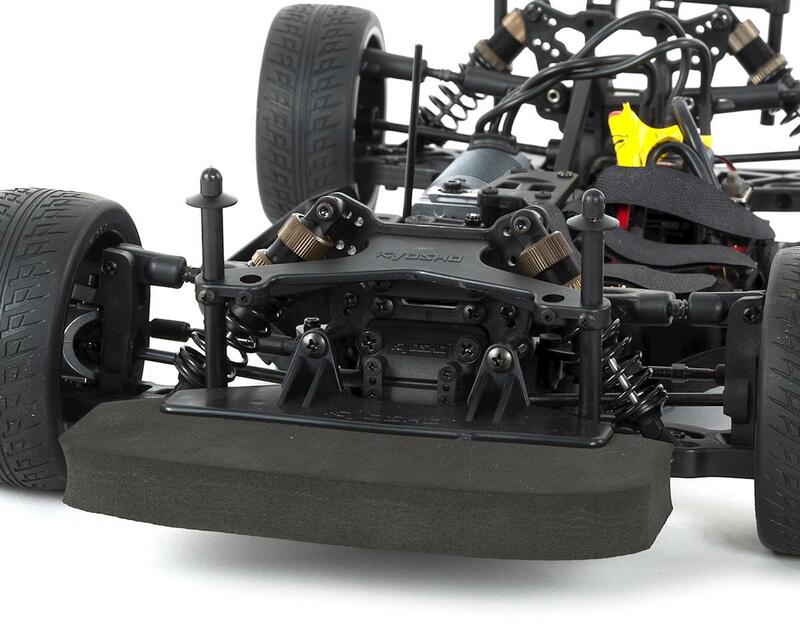 The high rigidity main chassis is equipped with side guards to strengthen impact resistance and keep dirt out to improve overall reliability and performance. The included 2.4GHz Syncro KT-331P transmitter automatically manages frequency bands and features high visibility LCD screen with the functions expected of a mid-range transmitter such as dual-rate and ABS plus safety features such as a failsafe function. The Syncro KT-331P works in perfect combination with the high-torque, metal-geared KS-5031-09MW servo to deliver finger tip control of the big size GT machine. With the Readyset, you can experience the dynamic action of GT racing without delay while the quiet performance of electric motor power opens up this experience to any time and place. 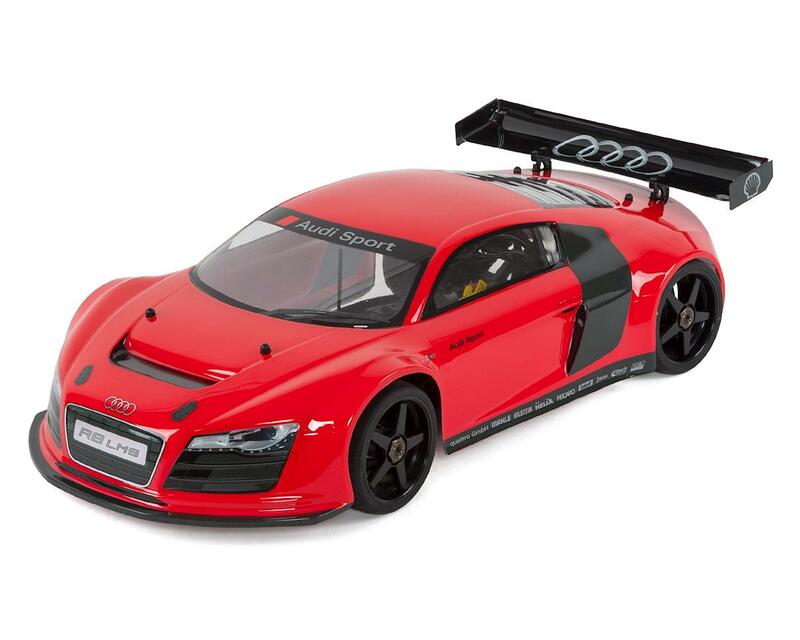 Equipped with user-friendly Team ORION brushless motor and ESC. 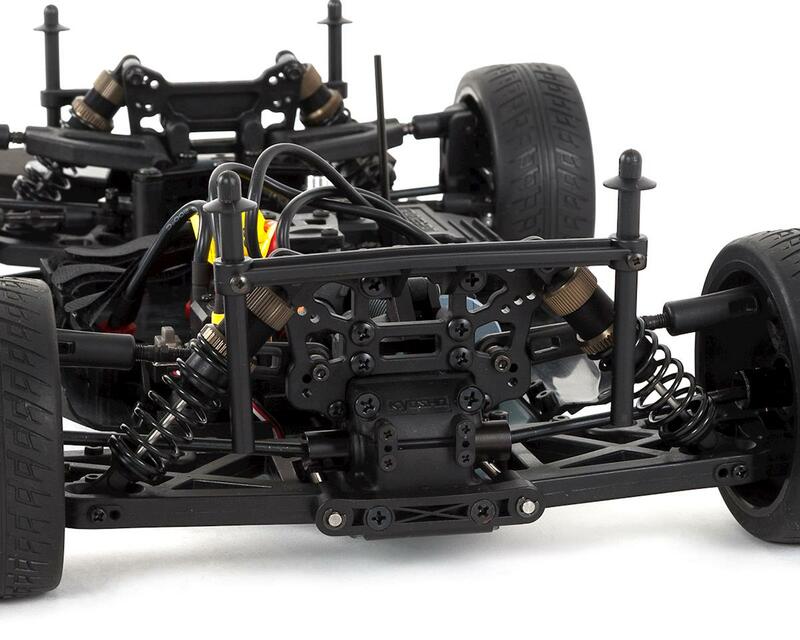 Simple chassis structure realizes superior maintenance efficiency. Spiral gears equipped on front and rear diffs deliver excellent durability. 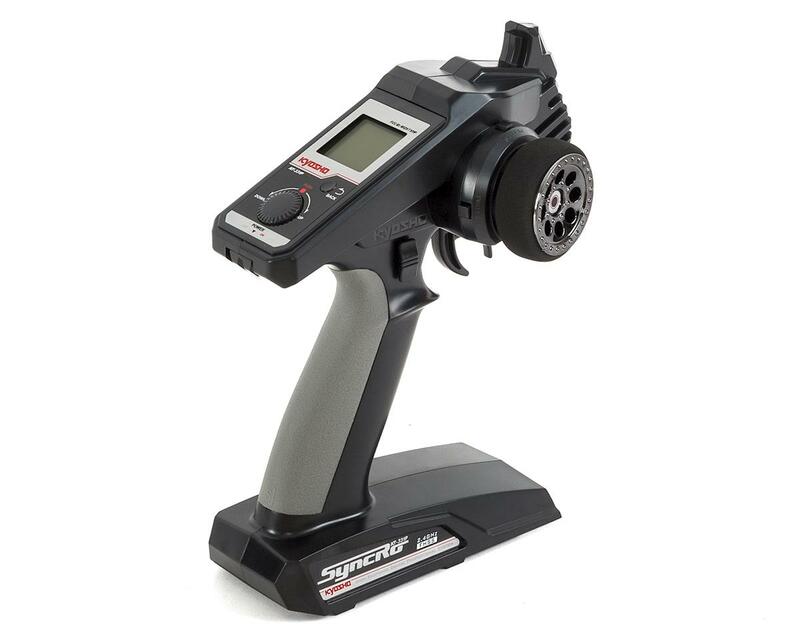 Included Syncro KT-331P transmitter allows precision setting. Equipped with high-torque KS-5031-09MW servo featuring built-in metal gears. Torque rods equipped on both front and rear. Long wheelbase specifications realize superior running stability and scale appearance. Turnbuckle tie rods and upper arms allow easy adjustment of alignment.